Last week, Army had said that security forces killed 190 militants, most of them foreign, so far this year in Kashmir and that there are around 200 more active in the Valley currently. The Central Reserve Police Force (CRPF) has released a helpline number for misguided Kashmiri youth who want to surrender in order to return to the mainstream. The helpline – 1441, named ‘Madadgaar’ -- can also be used by the families, friends or well wishers of such youths, who are willing to surrender before the security forces in the Kashmir Valley, a senior official said. The helpline was launched in June this year by the paramilitary force with an aim to help any Kashmiri who is in distress. "The helpline will now on help the youth who have joined militant ranks or their families, friends or any well wisher to seek help to surrender. We will guide them. They do not know how to go about it and we will help them in understanding and undertaking the initiative," CRPF Inspector General (Operations) in the Kashmir Zulfiquar Hasan said. He said the helpline works 24X7 and is manned by trained CRPF personnel. "We have received over 70,000 calls on this helpline since it was launched in June this year. The calls were essentially for seeking help from us on a range of issues and problems. The role of the helpline has now been expanded," the IG said. Hasan, who is the brain behind the initiative, said the force took the cue from the recent surrender and return of footballer Majeed Khan to the mainstream, for expanding the role of the helpline -- 1441. Khan, who had joined the Lashkar-e-Taiba (LeT), returned home after a video clip of an appeal by his mother had gone viral over the internet. "This year we have had a number of successful operations in Kashmir region. We have killed about 190 terrorists as of date in 2017. Out of these 190, 80 terrorists are local and the remaining 110 were foreign terrorists," Lt Gen JS Sandhu said. Out of the 110 foreign terrorists, 66 were killed near the LoC while infiltrating. 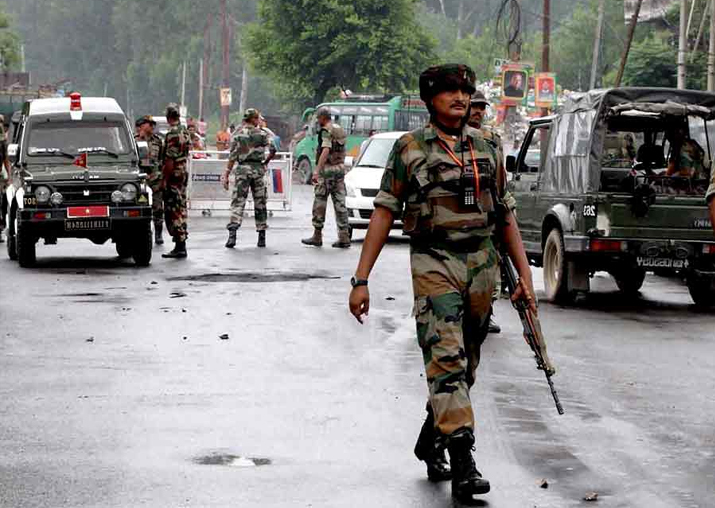 About 125-130 terrorists were killed in the hinterland of Kashmir.